An on-going joke between myself and Claire (my flatmate, if you haven’t already picked up on) is that our flat’s nickname is ‘The Bat Cave’ it is the name of the wireless, which obviously confirms it’s official status. 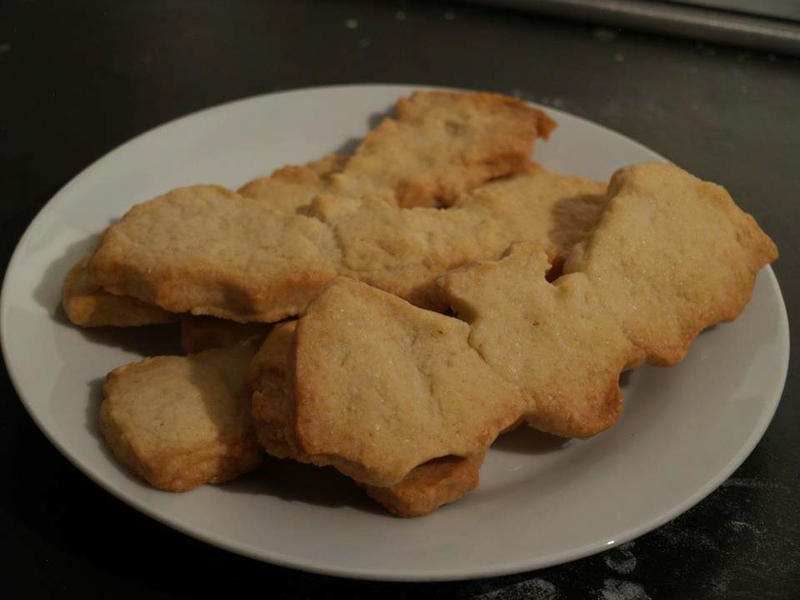 Anyway, to the point, we made Bat Cookies! We used this recipe and they did not disappoint! So simple to make (we made a third of the recipe and it made 6, the perfect amount for two!) and really quick!